I'm excited to introduce you to Jill Wilson, owner of Jilly's Stuff on Zibbet. 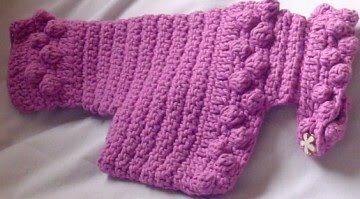 Jill's shop contains a variety of items including note cards embellished with lovely crocheted pieces, crocheted dog sweaters and craft supplies. Jill resides in Ontario, Canada. Tell us about yourself… I am a married "older" mom with a 12 year old boy at home. He is our grandson that my hubby and I adopted from his daughter when he was 3. I have recently retired from Michael's Arts and Crafts as a custom framer. I love lace, linen, crafts, stitching, vintage, flea markets and thrift stores. I love my silly beagle, Buck, and he has introduced me to more of my neighbors in 3 months than I ever knew in the 11 years we have lived here. Describe your “style” and how it sets you apart from your competition. I can only describe it as eclectic.A mix of old and new, upcycled, updated, etc. I learned a lot from my mom who lived through the bombings of London during WWII, and have carried on with her "do and make do" attitude. I am also a child of the 60's and love the freedom to randomly pick and choose from various craft and art supplies to put together my cards. What is the “story” behind your shop name? I am Jill and this is all of my stuff. I loved George Carlin and his routine on "stuff". I seem to fit into that quite well. Also, my hubby once called my partially finished craft projects as "junk". He learned quickly to call it stuff instead since he couldn't take any of his junk, upcycle or revamp it and use or sell it. What is your favorite item in our shop at the moment? 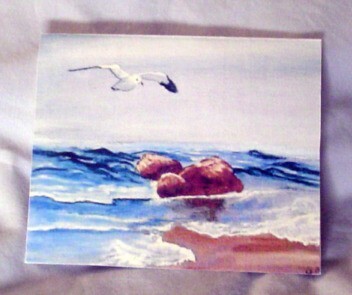 I think it would be the Cross bookmark note card. 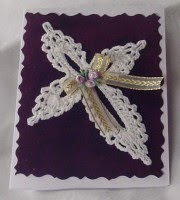 I just loved the elegance of the cross and the simplicity of the card. What is your favorite Zibbet shop and why? Only one? That's hard to do. Nearly everyone has something I just have to have. I could fill a page with shops and links. How long have you been a Zibbeter? I opened up my shop in January, 2010. As a seller, what do you like best about Zibbet? I love the blogs, forum, members, all of the shops, the ease of browsing around, but mostly, the very positive attitude that Zibbet reflects. As a buyer, what do you like best about Zibbet? Unfortunately, I have not purchased anything yet. I have to try and narrow down my wish list. My day is coming and I will succumb to the urge to shop. My willpower is weakening. 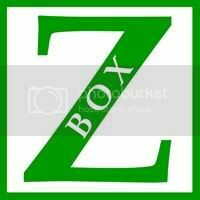 What else would you like the world to know about you and your Zibbet shop? I am always here to answer any questions or concerns the buyer may have. I am very big on customer service and everyone deserves the same courtesy and attention regardless of whether they make a purchase or not. As I see it, internet shoppers want honesty, availability and communication from the shopkeepers. You still have to "be there" for them even if it is not in person. You can connect with Jill at her Zibbet shop, Jilly's Stuff, and on her Zibbet's Community blog page. Great to see Jill here, my next task is to get her interview with me ready for my blog next week! I totally agree about the positive atmosphere of the Zibbet community, it's great to be part of it. 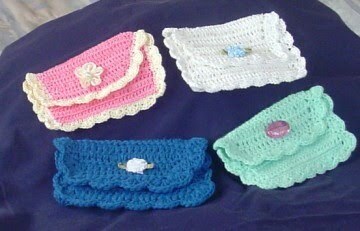 Nice article-but I don't know how she can't shop...I find Zibbet addicting. I love her shop 8)Nice post! I enjoyed reading this article. You have a very nice shop, Jill. I also loved George Carlin's "stuff" routine. Hilarious. What a heartwarming interview, Jill. I really enjoyed hearing about your life and of your many creative skills. I too love your cross bookmark card. Elegant describes it perfectly. The Girly Place - Found Only on Zibbet! I am a former high school biology and computer teacher turned needlework and beaded jewelry designer. My design style is fairly "traditional" but I surprise myself occasionally and find myself outside that box. I love color and texture. I have three Zibbet shops. 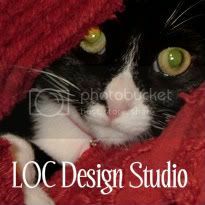 LOC Design Studio offers a variety of beaded jewelry and gift items. Denim and Pearls offers pearl jewelry and jewelry made from recycled denim embellished with pearls. 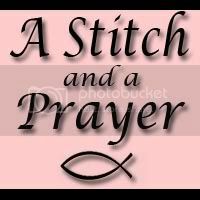 A Stitch and a Prayer offers original counted thread needlework patterns with Christian and family themes. I very much enjoy creating custom jewelry designs requested by my customers. Designing items that make you happy truly makes me happy!